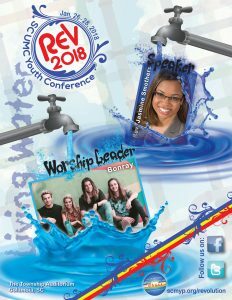 Bluffton UMC Youth will be traveling to Columbia to the Revolution Youth Conference on January 27, 2018. Each year at Revolution, more than 2,000 youth experience a powerful weekend of worship and music and messages focused on sharing God’s love in a relevant way. Youth and their leaders see the awesome picture of the United Methodist Church in action through worship and mission. Read more about Revolution 2018. Or download the Revolution Flyer. Contact Rev. Becky McCorkendale to join with the Bluffton Youth for this event. Email Rev. Becky McCorkendale or call her at 843-422-6027.